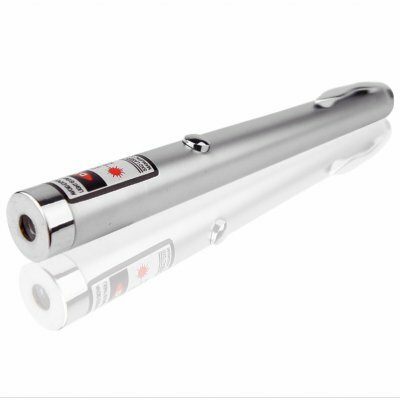 Successfully Added 80mW Laser Pointer Pen - 1 Kilometer Laser Beam to your Shopping Cart. Powerful laser emitter in the shape of a pen with an output of 80mW for a laser beam that will travel up to 1 kilometer at night. Such a discreet looking body truly hides of lot of laser emitting power within. This laser pen is perfect for presentations or for creating your own day or night time laser show, and this great gadget only needs 2 AAA batteries to operate. Fun and useful, this Chinese laser pointer is a cool gadget to own, give as a gift, or to resell for a great profit.